Obama has picked former Congressman Ray LaHood (R-IL) as his Secretary of Transportation. Will this be good for the airline industry? It’s rare that I find Twitter interesting, but one passenger’s use of it after his plane crashed this weekend caught my eye. Google Trends offers an opportunity for airlines to see what people are searching. 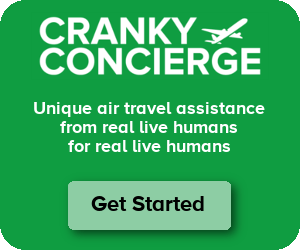 There was a great example this week on how airlines could serve customers better. American offered to kill off some flights awhile ago, but the feds wouldn’t retire the slots. Now that’s exactly what they want? Uh, ok.
Southwest has leaked its likely first connecting points to WestJet, and at least a couple of them are far from ideal. Delta postponed their Paris flight from Raleigh almost as quickly as it started. What’s behind this move?